A vehicle is only as good as the parts that help it run. That’s why it’s so important to use official parts and accessories when repairing or modifying what you drive. These parts have been manufactured to the automaker’s exact specifications so that they integrate perfectly with your vehicle and perform exactly as designed. Unfortunately, finding everything you need is a challenge when you work with major parts suppliers. That is why more auto enthusiasts from Regina, Saskatoon, Swift Current, Weyburn, and Assiniboia are coming to Knight Ford Lincoln instead. Our massive parts inventory has everything from minor hardware to major engine components. In addition to our massive inventory, we have parts experts on site to help you find exactly what you need. Instead of getting vague advice elsewhere, let us provide you with expert guidance and insider tips. 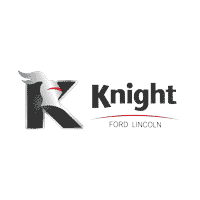 Working on your car is actually fun and exciting when you partner with Knight Ford Lincoln.